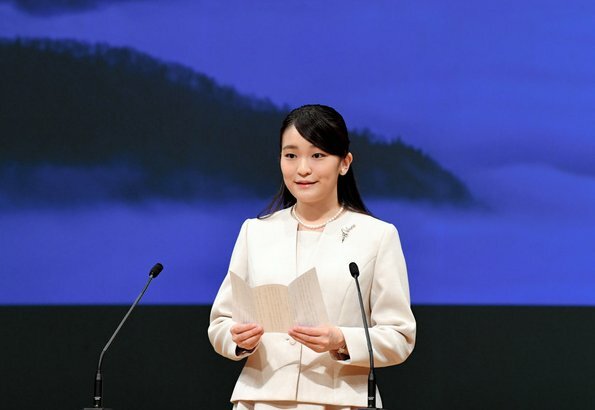 On August 9, 2018, Princess Mako of Japan visited Tottori Prefecture to attend the 1300th anniversary of the opening of Daisen-ji. 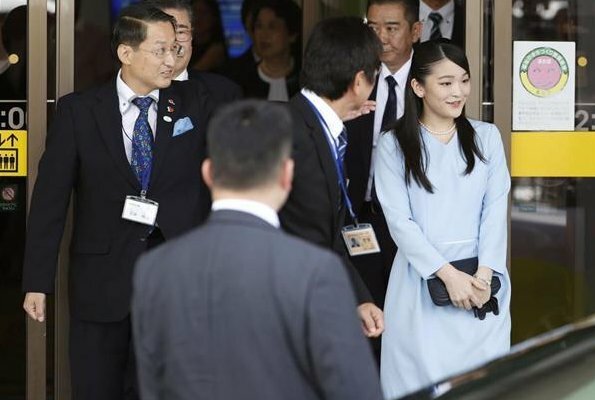 Princess Mako welcomed by Tottori Governor Shinji Hirai at Yonago airport. 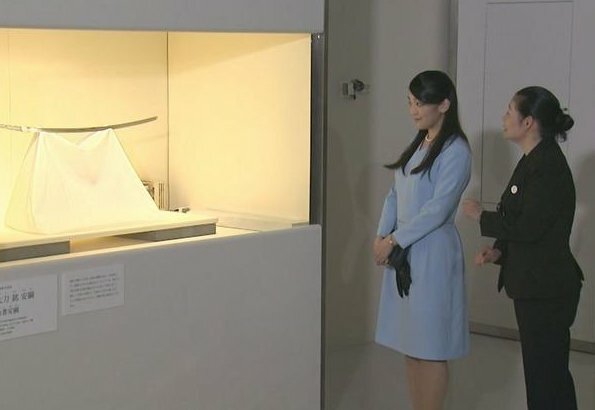 Princess Mako visited Yonago City Museum of Art. On August 9, Princess Mako attended celebrations of 1300th anniversary of Daisen-ji Temple. Mount Daisen is a volcanic mountain in Tottori Prefecture. Halfway up the mountain stands a Buddhist temple, Daisen-ji. This has existed as a centre of worship since the Heian period. It was founded by the Tendai sect in 718. She is actually smiling and laughing! 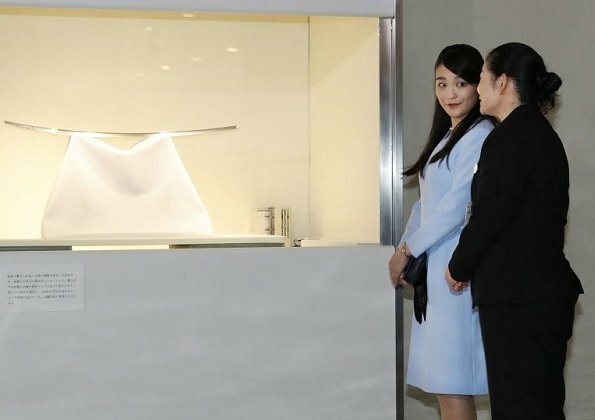 Her dress is the same typical style the Japanese princesses wear. It is classic, prim and proper. I would love to see her wear something by Needle and Thread. She would look darling in their clothes. Nice pictures! I love her smile. The Japanese Imperial family has a history of over 2000 years. Cannot remember when was the last time we saw happy Mako. She looks good. I'm so impressed by her charm and self confidence. It's such a pity that her personal life is going through a rocky period now. Dat kleed is oerklassiek en te groot.